Here’s a question for all the small business owners out there: What’s the central component of your content marketing strategy? You may be inclined to say that it’s your blog, your Facebook page, or even your Twitter feed—but in reality, it’s your business website. The website, more than anything else, serves as your company’s virtual storefront; it establishes the first impression that most customers will have of your business. And the point of your content marketing endeavors—whether blogging, tweeting, Instagramming, or whatever else—is likely to point traffic back to your website, where leads can be converted into sales. Just think: What happens if a potential customer—someone who’s never heard of your company before—stumbles across your blog entry or your most recent Facebook posts, then decides to check out your business website. If the site is professionally presented, easy to read, and concise in its delivery of valuable information, that can only be good for your business. If the site fails to project authority, or to really explain what your company does, then it’s simply a missed opportunity. You will not get a second chance to make that first impression, either. All of this is simply to say that launching a content marketing strategy before fine-tuning the website is putting the cart before the horse. Ideally, both endeavors should be undertaken promptly. For those looking to get their websites up to speed, here are a few quick tips. First, remember that people prefer to do business with other people—not with faceless corporations. As such, a strong and compelling About Us page is necessary for any website. Use this Web copy to discuss what your business does, but also where its origins lie, how it came to be, what your values are. You might even include a brief bio of the business owner, along with a photo; making the website a touch more personal is nearly always a good idea. It is crucially important to have social media buttons—icons linking to your various social media accounts—prominently displayed on your home page. (Actually, it’s best to have them on every page of your website, if possible.) For one thing, this reinforces the fact that your company is truly engaged with social media, that it’s active in offering regular advice, information, and expertise. It’s also a not-so-subtle trust signifier. If a website visitor can easily ascertain that people like you on Facebook, it makes that visitor more prone to like you, as well. A display of current content is crucial. For some companies, this may be an easy-to-find blog linked from the homepage of your site. For other companies, it may be a newsroom. Whichever method you choose, do something to make clear that your business is active and growing. If visitors to your site question whether your business is even still in business—because, say, the most recent blog entry or press release is two years old—that’s hardly a positive sign. More than anything, it’s important to critically and carefully survey your online content, ensuring that it brands your company in the best light possible. 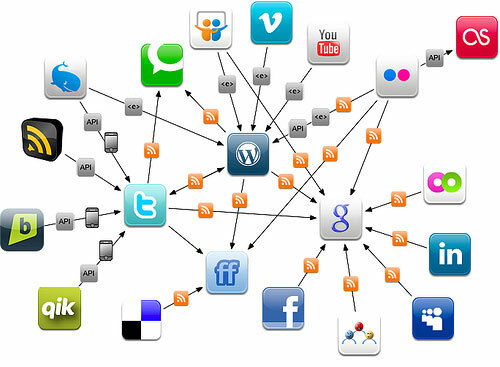 After all, this content is the spoke to which all of your other online marketing strategies are connected.